Corey and I are home in New Jersey after a great trip to visit his parents' new home in Naples, Florida. We had the best time and the weather was so nice. I haven't seen sun in New Jersey for months - which is really hard for my Southern belle self. 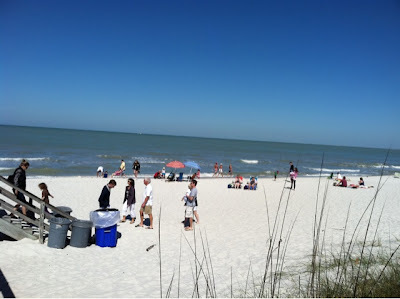 The weather was in the upper 60's and 70's - which is cold for Naples but was so nice for us. Pretty beach with not a cloud in the sky. This was the perfect break from the snow. 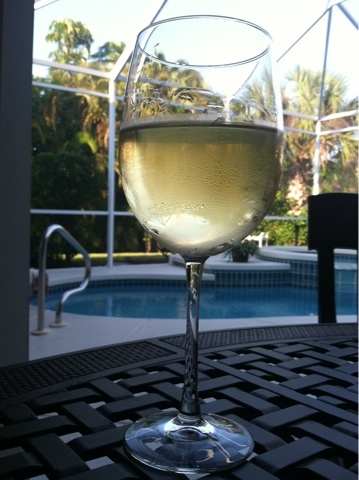 I enjoyed some great outlet shopping with spring break sales and relaxing with a glass of wine on the lanai. 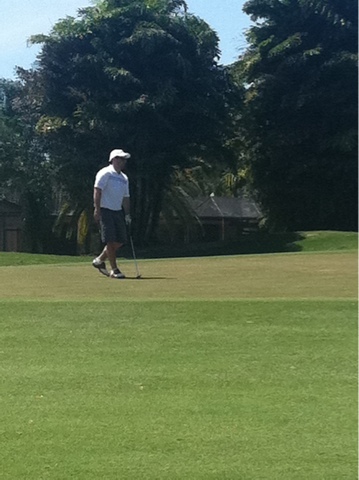 Corey enjoyed playing lots of golf with his dad. It'll be another month before its warm enough to golf here so he really enjoyed it. 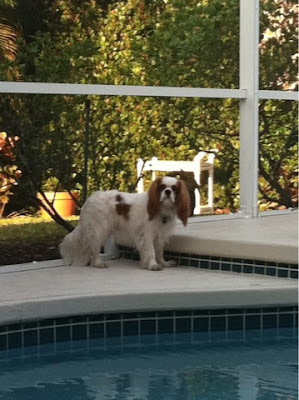 Riley came with us and he just loved investigating on the lanai and spending time outside. Corey's parents have a puggle so there was plenty of play time for Riley. We did lots of walking for exercise and I just loved the landscaping and how different it is from New Jersey and the Carolinas. 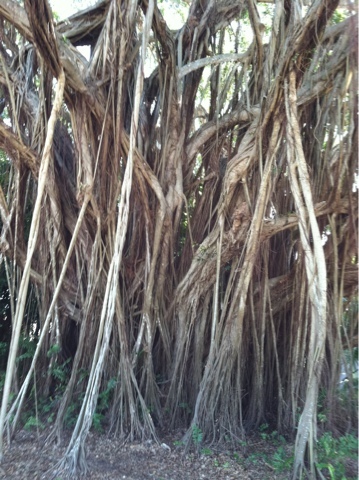 How cool is this tree? I recently purchased the absolute cutest blouse and it has just arrived. I saw it on Petal's website but it was always sold out in my size. I finally hunted it down and am in love. Bonus that I got a great deal. This is the back. Isn't the bow adorable? I can't wait to wear it! That blouse is too cute! Glad you had a great time in Florida! Love love love Naples! I am jealous you got to escape to warm weather. I am having a tough time now that it's April and there is no shift or Jack Rogers wearing in sight....ugh! So glad you had a great time! 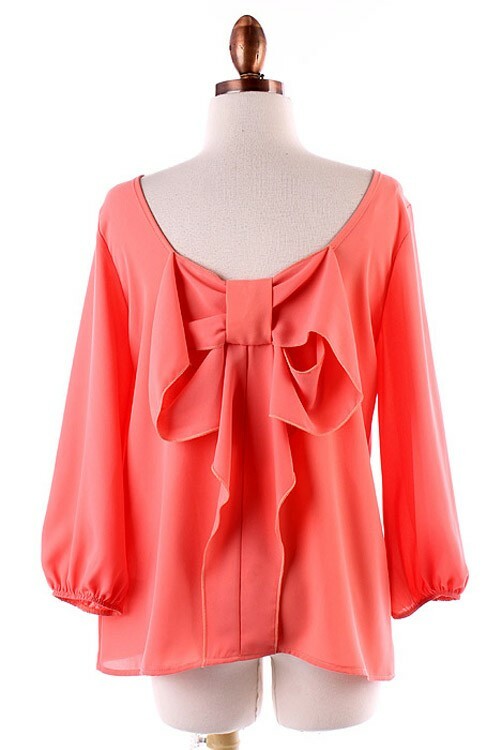 And how adorable is that blouse! ?